Ballet flats are certainly classic and refined, but they might not necessarily be described as "cool." That is until nine-time Grammy nominee Sia became involved. The singer teamed up with cult French brand Repetto on a collection of three styles that are thoroughly fresh updates to the silhouette. Given Repetto's dance legacy (ballet dancers have worn the brand for over 70 years) and Sia's knack for amazing performances, it seems like a match made in heaven. Launched this week, the flats will no doubt become the It shoes to wear in no time. "Repetto and Sia came together to creatively build a collaboration which captures the spirit of everyone who lives to their own beat," the press release reads. "Movement, dance, style and freedom are values shared by both, uniting this partnership." To celebrate the collab, Sia teamed up with her friend Maddie Ziegler on a cute campaign, complete with Sia's signature oversize bow. You better hurry if you want to get your hands on the shoes: One style has already sold out completely, and others have limited sizes remaining. Scroll down to shop the brand-new shoes. Bet you've never seen ballet flats as cool as these. The bows, of course, are an homage to Sia's signature stage outfit. The all-black pair is a fail-safe choice. 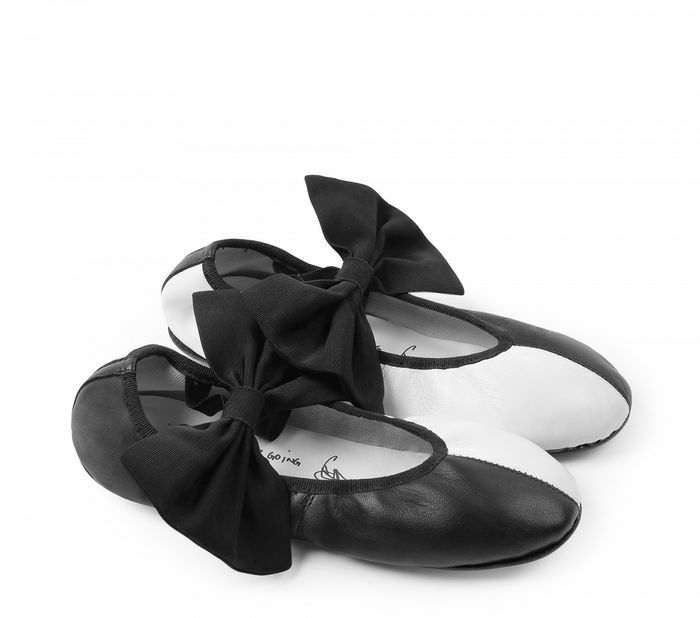 These super-cute tuxedo-inspired flats are an update to classic dance shoes. Wear these with trousers for the office or slouchy jeans on the weekend. These are already sold out, but we're crossing our fingers for a restock. A pair of bold red shoes never hurt anyone. These whimsical shoes are definitely eye-catching. Next, get a close-up look at Jennifer Lawrence's new engagement ring in Paris Fashion Week.